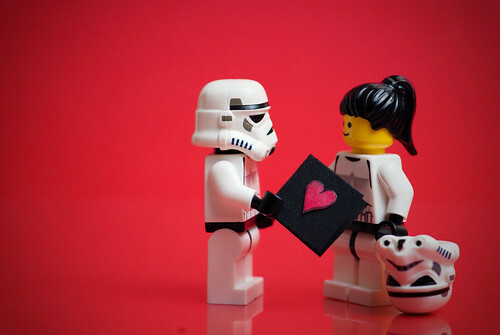 So tomorrow is valentines day, so from all of us at Custom minifig we’d like to wish you a Happy valentines day. these are brilliant custom minifigs, totally made from scratch with standard Lego parts, they posses a real Spore-esque look the colour combination is really cool as well, it would be great to see a whole tribe of these custom minifigs. so finally, i’ve got ound to doing two things, 1. testing out the new camera i got over christmas, and 2. actually making and taking some photos of my custom minfigs, about time too considering how much I’ve been blogging on custom minifig about everyone elses minfigs. Hero Nakamura (heroes), HALO Para jumber,Â House MD, Russian Spetznatz, British Para trooper. 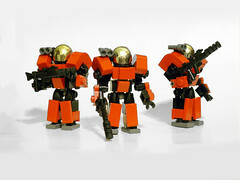 these minifigs are made from true Lego parts with the beret being a sluban piece, and the weapons being from brick arms. so, what do you think of my first attept and creating my own custom minifigs?